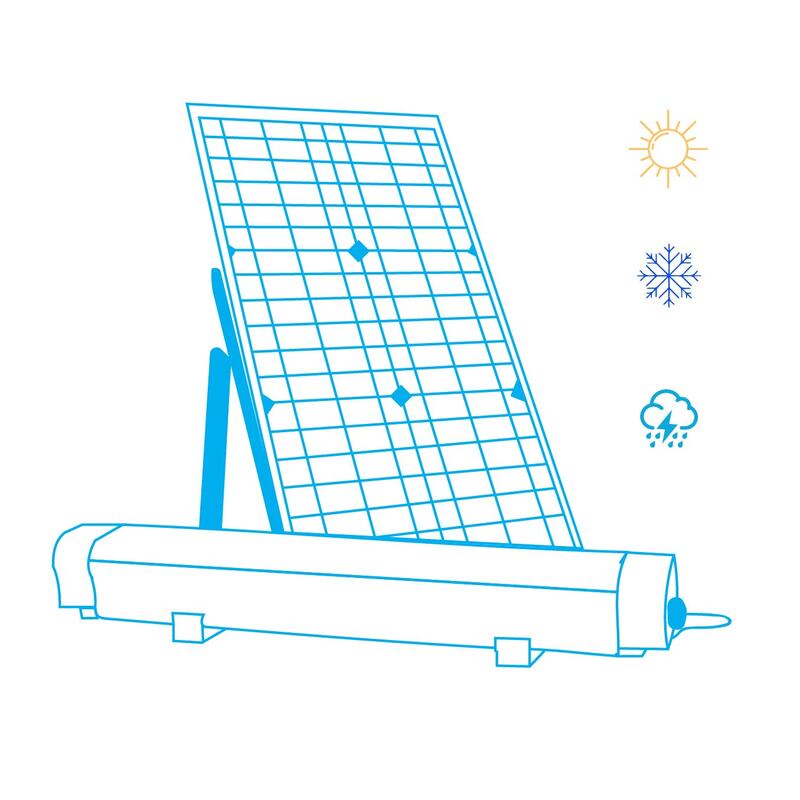 A 36W LED solar batten light set is an all-in-one solar outdoor lighting set comprising of the lighting lamp along with a solar panel, a battery and a microwave sensor. Rated IP65, this product is suiatble for all-weather conditions. Further, it is built to last for 50,000 hours or more. This product is quite an energy-efficient product (through the use of solar panel) saving 100% on your energy bills. The beam angle is 120 degree (wide beam angle) for illumination of wide areas. The lumen output is 4200 lumens with color temperature option as 6000K reflecting a daywhite-cool white light glow. With the lithium battery lasting for 1000 deep cycles, there is a low maintenance need. No cabling or onsite assembly required so pretty easy to install. The cost-savings is huge with this product, being a dusk to dawn kind of product. The microwave sensor provides for an effective way of security by alerting you of any intruder. Being eco-friendly, this product is quite a sustainable lighting solution. 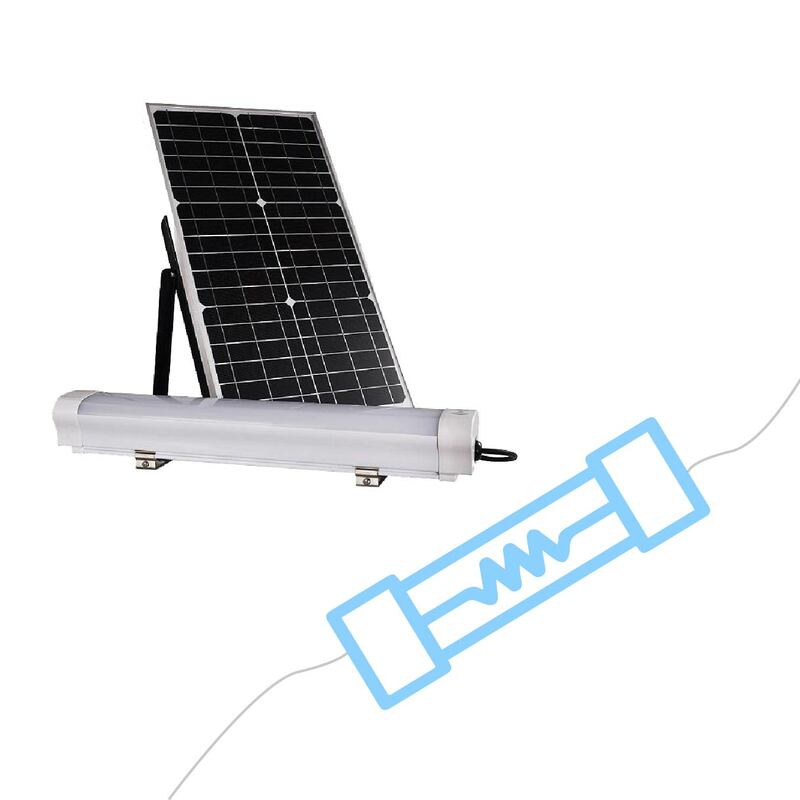 Overall, it’s an alternative, reliable, convenient and cost-effective lighting source product using the natural source of energy -- the solar energy. An Eco-Friendly Lighting Product: Since, the product does not contain any toxic waste products, it does not leave any carbon footprint thus saving the environment at all costs. High Energy-Efficiency: Without compromising on the luminous efficacy (116/watt), the product brings 100% savings in energy. The only power that is consumed is by the battery and hence a lower utility bill for you each month. Long Lifespan: This product lasts for 50,000 hours or more, with solar panel usually lasting for 15-20 years. 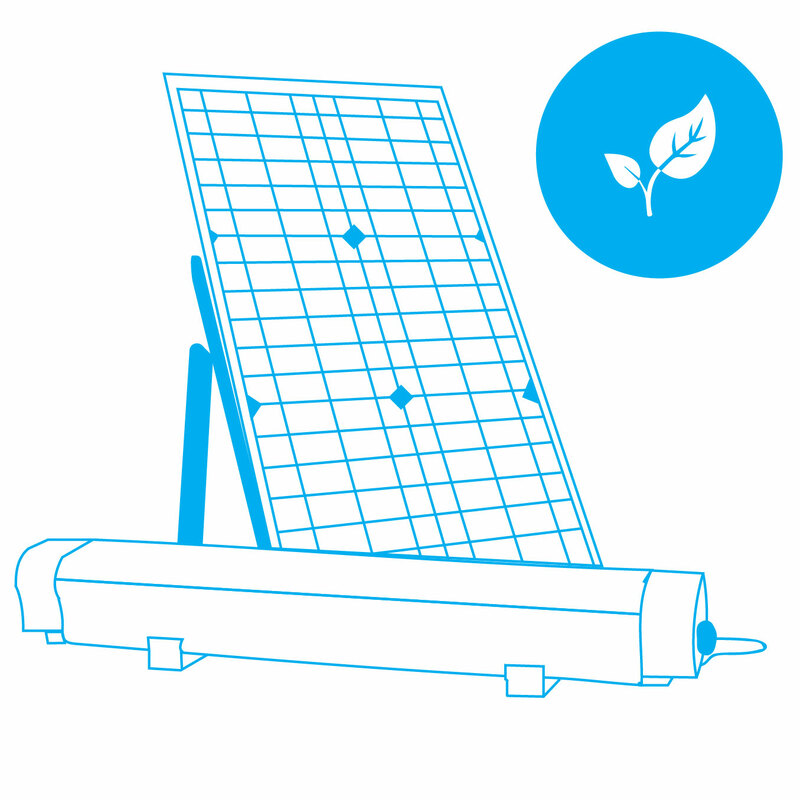 Cost-Effective: Other than a cut-down utility bill, you also experience a low cost on its maintenance and operation because the only time you will have to make replacement of the lamp is after 50,000 hours (5-6 years) to work with the same solar panel. 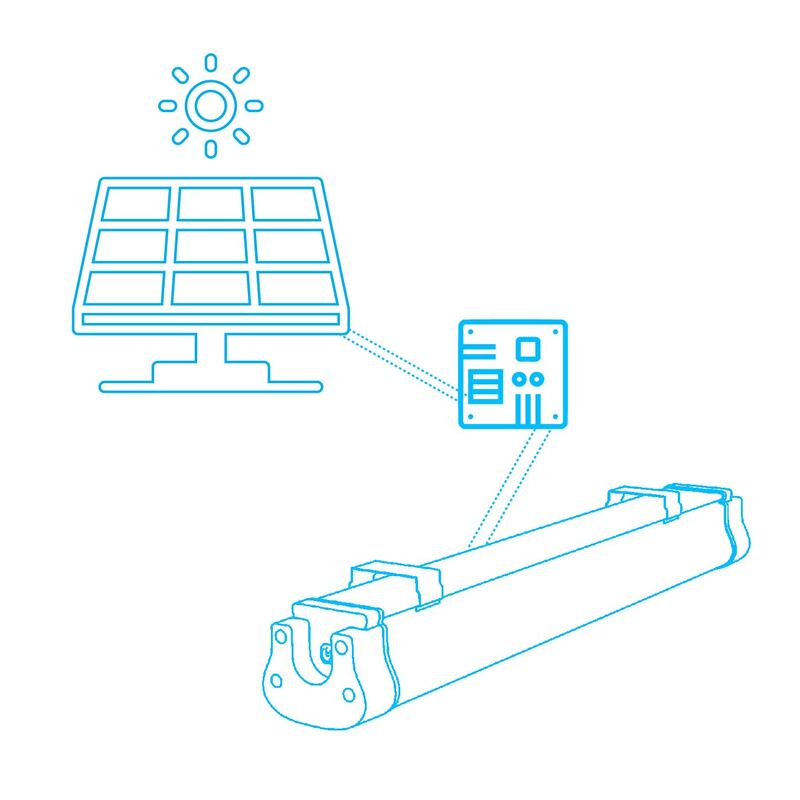 Reliable: The solar controller provides for protection against over-charging, over-discharging or over-voltage of the product, thus a safe and reliable product in its entirety. Beam Angle:120 degree. 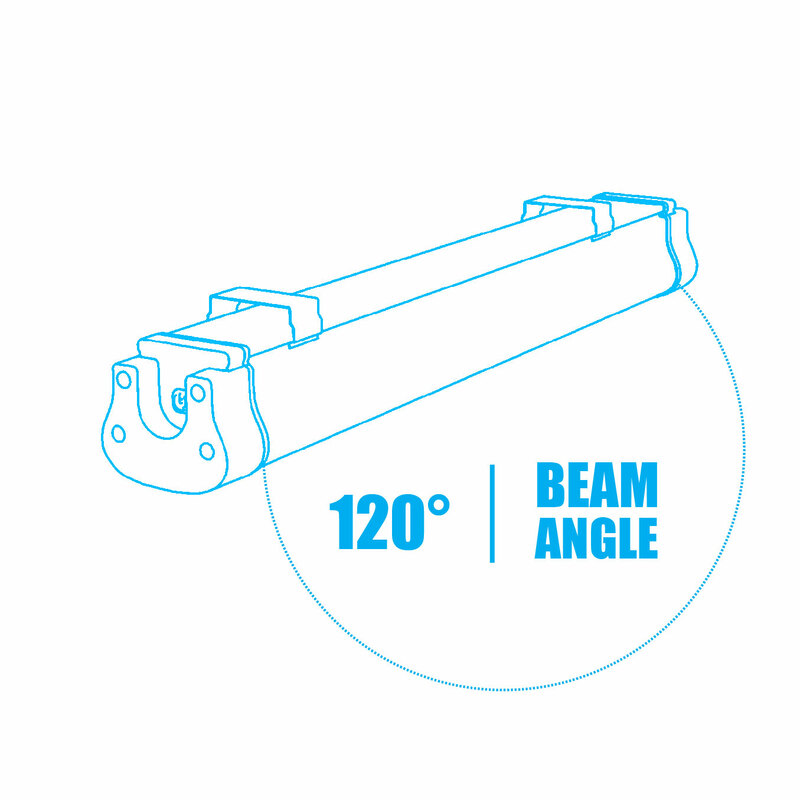 This beam angle is utilized for lighting of large areas. Non-Directional Lighting: Being a wall mounted product, it provides us with an even and general area/sight lighting. No UV or Infrared Beam Light Output: Safe lighting since no UV or IR rays in the light beam. High CRI: This product having a CRI of 80+ promotes better viewing of objects and surfaces by portraying them as clear, real and natural as possible in exactly the way they would have appeared in presence of natural light or sunlight. Instant-On: This product does not require any warm-up time or cooling down to stay in operation. Hence, an instant-on solar street lighting effect observed. Easy Installation: By mounting this product on the wall and with the help of wall mounting brackets, the installation can be undertaken quite easily. Low maintenance Needed: Since the lifespan of the product is 50,000 hours, very low maintenance required before or after 50,000 hours. Motion Detection Through Microwave Sensor: This sensor helps detect any motion (including walking, running or crawling) of human intruders in any outdoor environment. Since this sensor is in-built and not as an accessory, there is no hassle of separate installation. 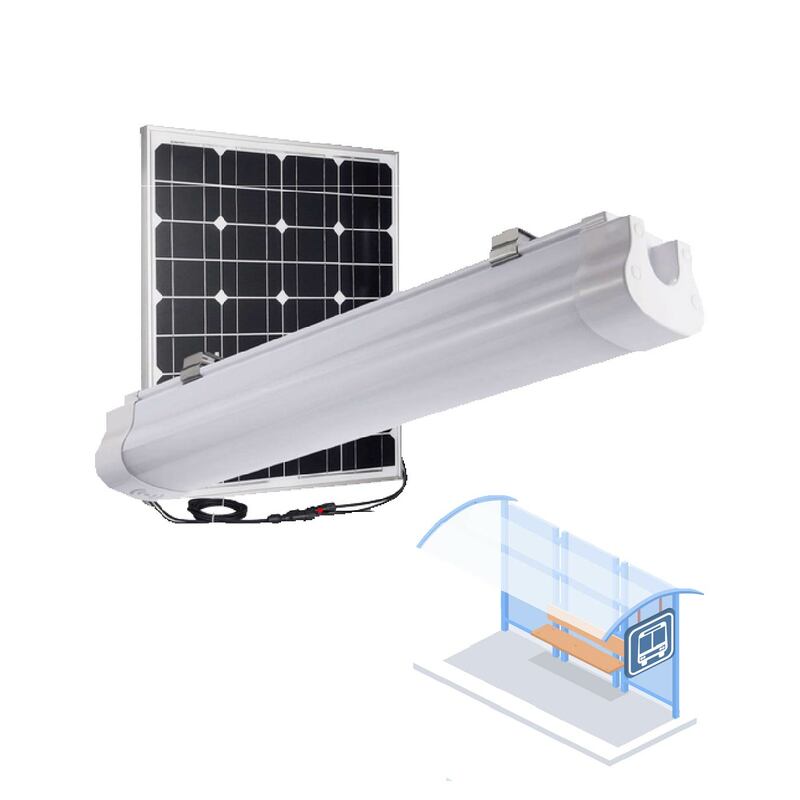 By mounting the product on the wall with the help of few wall brackets, the LED solar light can be easily installed. It’s fast and easy installation, doesn’t take more than 30 minutes. 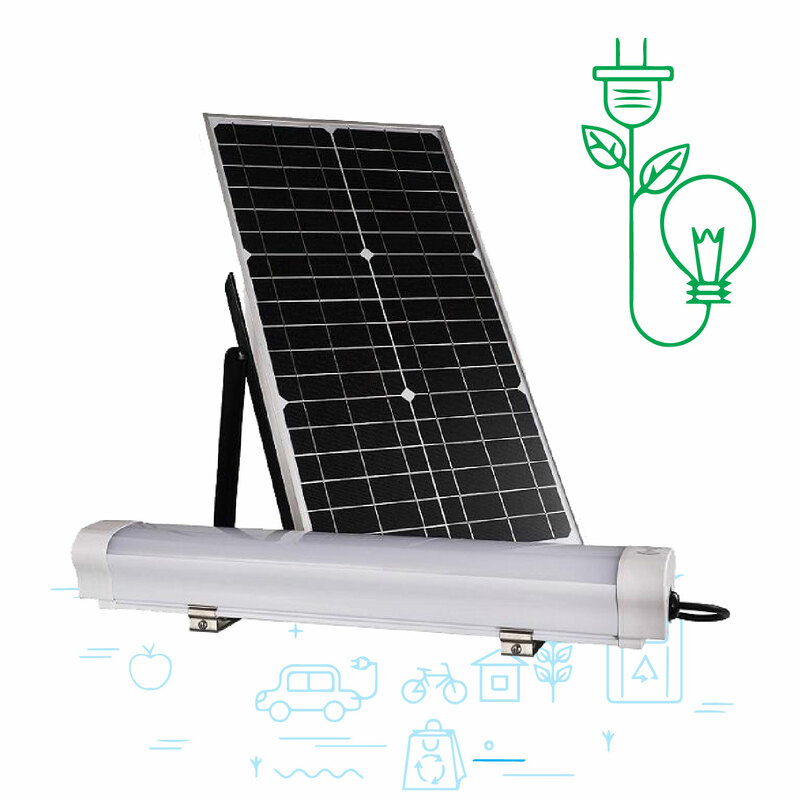 Our LED solar light set has an inbuilt battery that’s strong and made of lithium that helps to provide electrical energy for constant lighting for not less than 12 hours. The MPPT (Maximum Power Point Tracking) controller charges much faster than PWM (Pulse-Width Modulation) controller thus ensuring that the battery remains fully charged for as long as the lighting is needed. Our LED solar light setsare 100% resistant against dust, sand or water (protection against water intrusion up to a meter). So, perfect for damp or wet locations. The CRI being 80 for all our solar lights means that the objects and spaces reflect their colors real and authentic up to 80% precision in comparison to an ideal or natural light source. 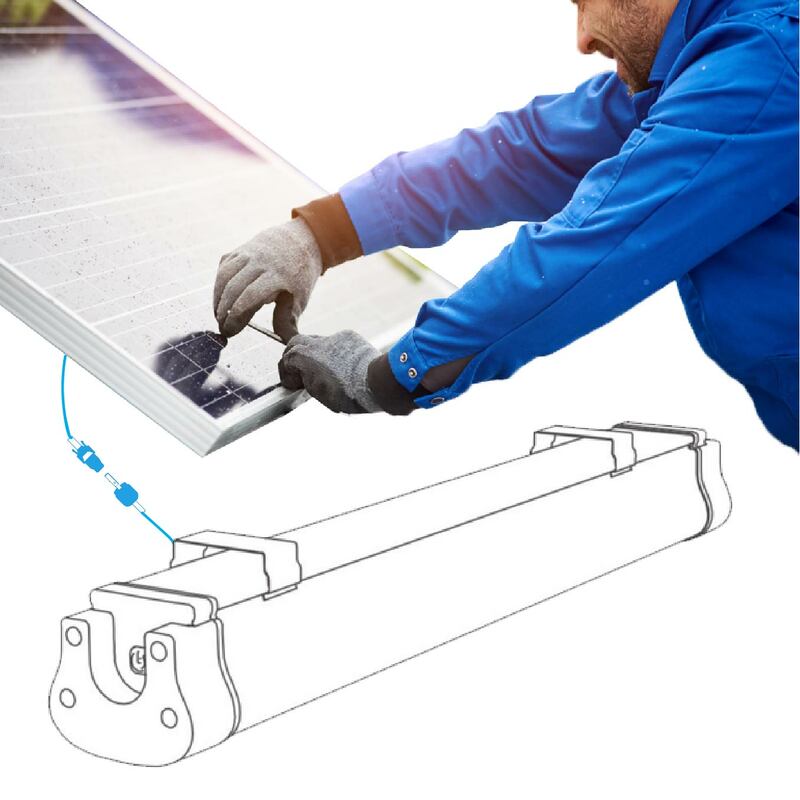 The MC4 connectors are electrical connectors utilized for connecting the solar panels. The MC4 system consisting of a plug and a socket design appear together as opposite genders. 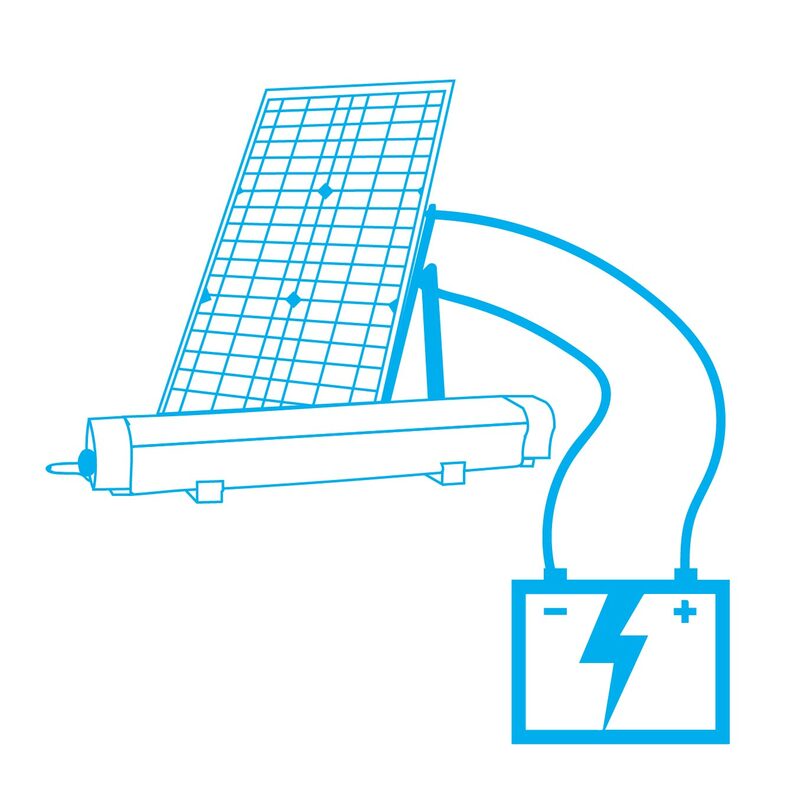 The MC4 can be directly plugged into our 18V solar panel for quick and easy connection. The wide beam angle for any of our solar lights means that the light beam is spread through wide areas and huge spaces without highlighting any specific area or object. This beam angle is for general purpose lighting and not for accentuated lighting. 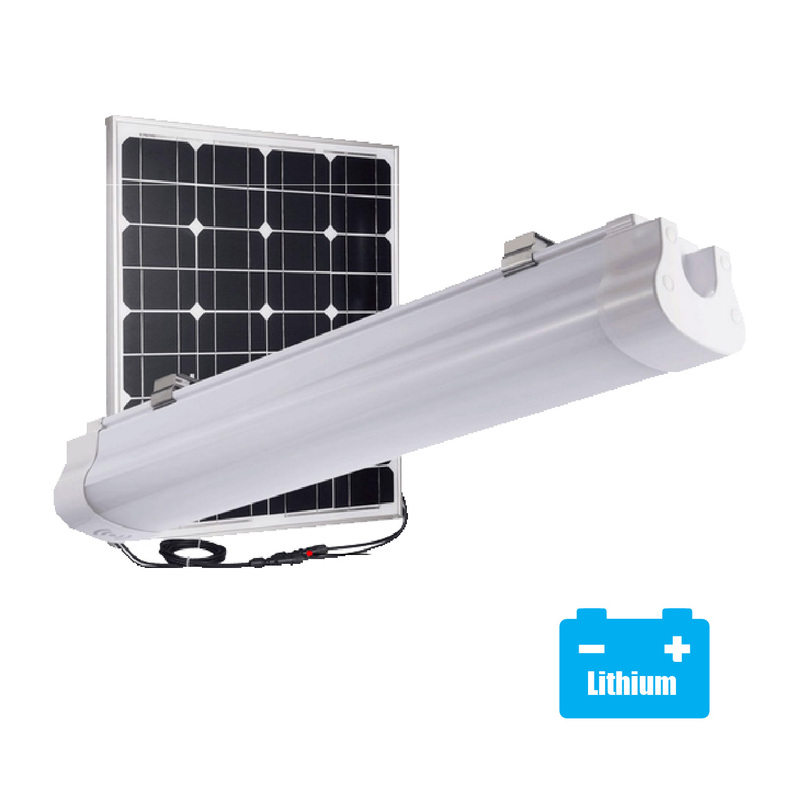 With a lifetime of 1000 cycles, our solar lights equipped iwth lithium batteries serve you better than those lighting products having lead batteries. The reasons as to why a lithium battery is high on performance are many but known lesser. The lithium battery in comparison to any lead battery can withstand extreme temperature conditions (both high and low), can charge better, do not discharge quickly, has a longer service life and is environment-friendly. The energy-savings through the LED solar lights are 100% since it’s the stored energy that is being utilized rather than the grid power supply. The LED solar lights are eco-friendly because of no toxic waste products like lead or mercury in them. There is no environment-pollution being caused due to our LED solar lights and so our lights are completely safe for use. 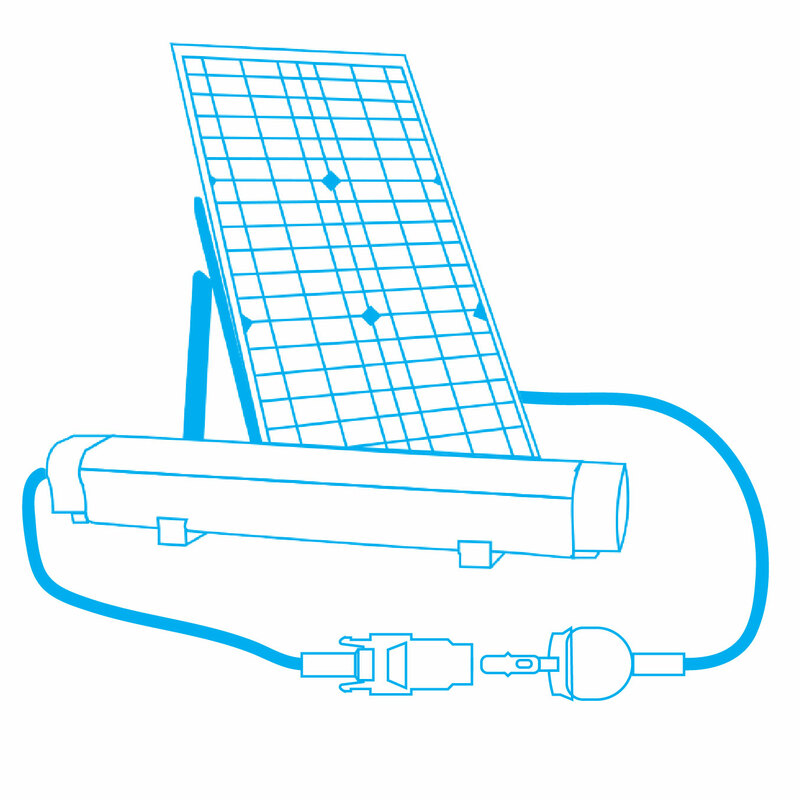 With any of our LED solar lights not lasting any less than 5-6 years, the only time you will need to make any kind of replacement is when your lithium battery has completed its 1000 cycles and the cost of which is nominal in comparison to the upfront costs of a completely new solar lighting set. Therefore, no replacement and no maintenance of the lighting fixture for many number of years. Further, there is no complex wiring that is required in LED solar lights unlike in traditional lighting fixtures so the failure of one solar lighting fixture won’t affect the other solar lighting fixtures. 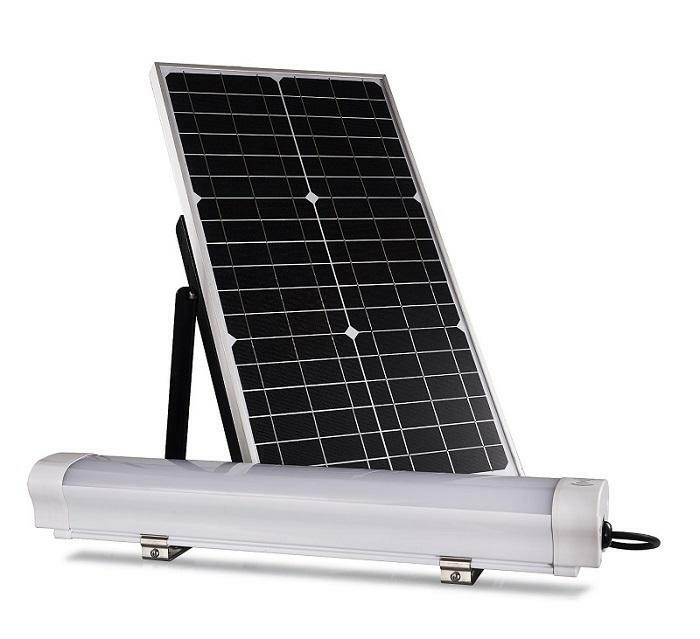 These LED solar lights also don’t require any repair becaue they are durable and can withstand harsh weather conditions. All of these lead to a very low maintenance and hence very low maintenance costs. 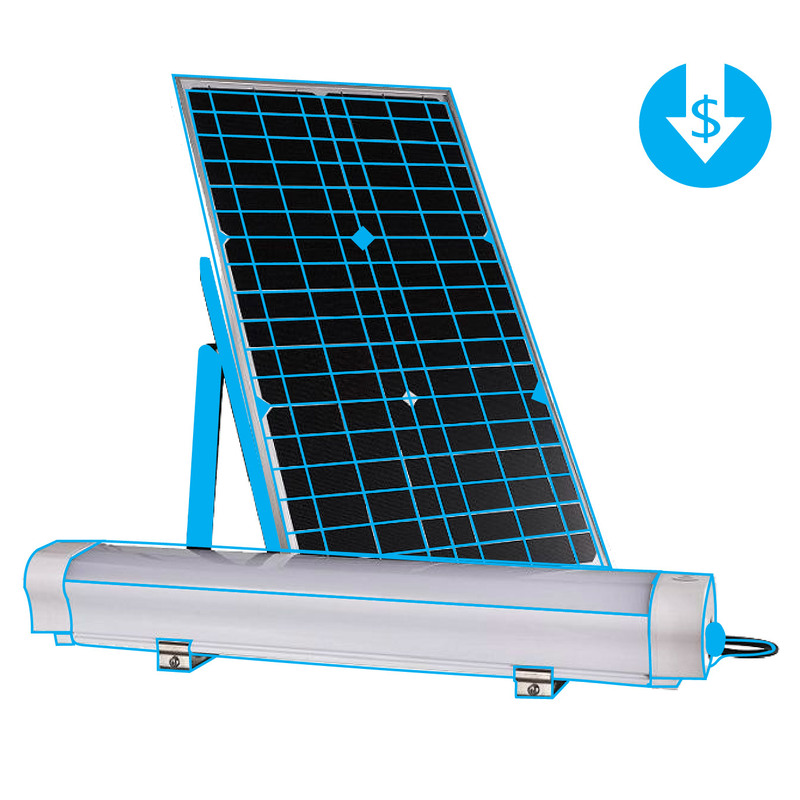 The LED solar lighting sets come with 12 KV surge protector so as to protect the fixtures from any lightning or thunder strikes during a bad weather condition.